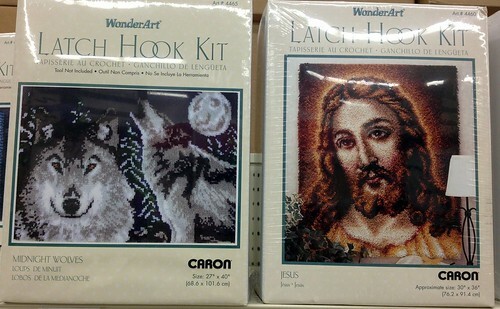 two wolf moons or jesus latch hook? In Michael’s craft store today and I run across this. I am unsure how to respond. The responses on FB are however amusing. Your thoughts if you were to gift one or the other are welcome. I’m not used to facing this type of decision.